Iron Man, played by Robert Downey Jr., was a key figure in the teen's first outing in Spider-Man: Homecoming, but was nowhere to be seen in the new preview. Any hopes of some much-needed rest and relaxation are quickly dashed following an encounter with Nick Fury (Samuel L. Jackson). Here are the details on the Mets' 2019 Spider-Man event over at Citi Field. The trailer opened up on a banquet fundraiser for a homeless shelter, seemingly hosted by Aunt May with Spider-Man present as a special guest. That seems like the most likely scenario. 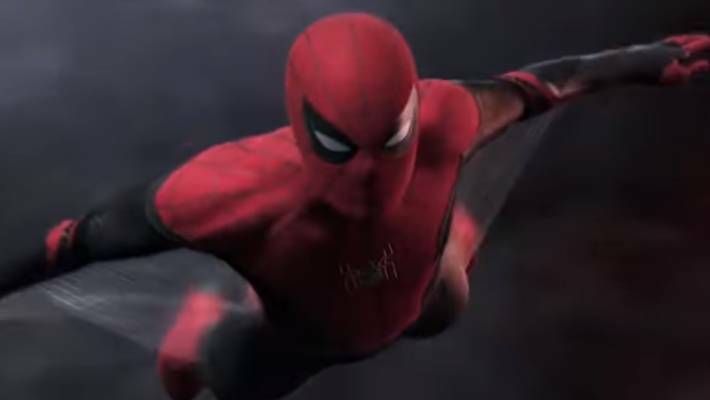 Spidey will be sporting a new black and red suit in "Spider Man Far From Home" which has significance in the story. And then we see Mysterio arrive in his signature style, emerging from a puff of smoke to team up with the friendly neighbourhood spiderman. Gyllenhaal will take on the mantle of Mysterio while Michael Keaton is set to return as Adrian Toomes/The Vulture. One shot from the trailer features Spider-Man swinging in front of Grand Central Station, with quite a bit of construction behind him. It also gives no clue as to how Spider-Man was resurrected after disintegrating in Avengers: Infinity War. In Spider-Man: Homecoming, it was revealed that Avengers Tower had been sold to an unknown buyer. Check out the trailer for Spider-Man: Far From Home below. A Decimation reversal in Endgame would presumably leave the people of Earth pretty shaken up at the start of the Spidey sequel, and, from what we can tell, everyone looks totally unbothered in the Far From Home trailer (aside from when those watery, sandy, and fiery villains rear their weird, nearly shapeless heads). They appear at different intervals in the trailer. Only time will tell if this couple will last throughout the franchise. If people want Peter Parker, do they want the tired veteran? The trailer goes on to show Mysterio, a longtime nemesis of Spider-Man, fighting off another villain who appears to be "Hydro-Man". The clever part of this is that "mystery" in Italian is "Misterio", which is where Mysterio's name came from in the comics. We'll have to wait and see what happens in Avengers: Endgame, but please, don't hurt Peter Parker anymore. On today's (potentially spoiler-filled) episode of Nerdist News, host Jessica Chobot is breaking down all of the hidden secrets we caught in our own Spider-sleuthing web. As far as Spider-Man: Far From Home' is concerned, it releases on July 5.